Mafiascene.com - View topic - How to give an actor a Weapon in Bscriptview? How to give an actor a Weapon in Bscriptview? Posted: Fri Jul 27, 2018 2:59 pm Post subject: How to give an actor a Weapon in Bscriptview? Hello. I'm just new to modding and i know how to place enemies. But i need to give them some weapons. How can i Give the actors some weapons? Posted: Fri Jul 27, 2018 4:52 pm Post subject: How to give an actor a Weapon in Bscriptview? Posted: Fri Jul 27, 2018 5:06 pm Post subject: How to give an actor a Weapon in Bscriptview? What do u mean by Actor ID and Weapon ID? For example what is the id of thompson 1928? And what is Actor id? Uh! I found the weapon IDs from this Page! Now I'm just stuck in Actor IDs. Any ideas?? Posted: Fri Jul 27, 2018 6:18 pm Post subject: How to give an actor a Weapon in Bscriptview? This is basic work in scrypting Mafia, you need to research more before you can progress anywhere. At the beginning of every script you need to define actors and frames. Imagine it like that - actor is everything that will have any script working with it and a frame will be relating rather with graphics (kind of). So, for example, "Paulie" can be both actor and a frame. If you want Paulie to talk or to get a weapon, he will be an actor. If you want him to be invisible, he will be a frame. Posted: Fri Jul 27, 2018 8:40 pm Post subject: How to give an actor a Weapon in Bscriptview? Posted: Fri Jul 27, 2018 10:08 pm Post subject: Re: How to give an actor a Weapon in Bscriptview? Posted: Sat Jul 28, 2018 10:34 am Post subject: How to give an actor a Weapon in Bscriptview? Uh sry, i can't understand easily. I use BscriptView 6 and when i add the actor and properties, I also use the Script. This Script should gives the Actor in my Mission a Colt 1911, with 7 bullets in magazine and 35 magazines. But when i load the game, that Actor has only Fist. He hasn't any Weapons! But i added the weapon script!! When i kill him and i Search that dead body, i don't find any weapons too. Is that a bug or i did something wrongly? Posted: Sat Jul 28, 2018 11:11 am Post subject: How to give an actor a Weapon in Bscriptview? Did you define who the actor is, like on the photo posted above? 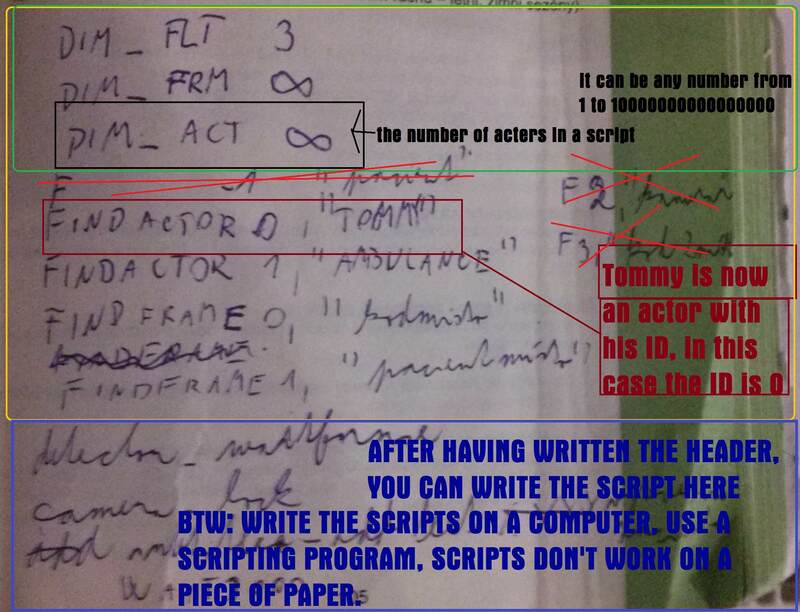 You can easily make the script under the actor you created in the program (so - you create a new Actor, and there you write all these weird things). Also, the "human holster" makes the actor hide the weapon, I actually don't remember if that means he will attack you with fists. For now, skip this part. @AsaSK - is that sarcasm? Posted: Sat Jul 28, 2018 11:50 am Post subject: How to give an actor a Weapon in Bscriptview? Posted: Sat Jul 28, 2018 5:32 pm Post subject: Re: How to give an actor a Weapon in Bscriptview?